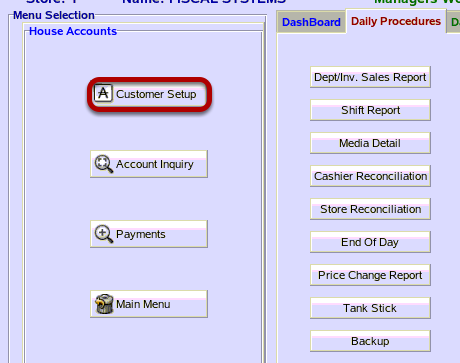 TravStar1 Point Of Sale SystemManager's Work Station House Account ManagementHow Do I Setup a Fuel Discount for House Accounts? How Do I Setup a Fuel Discount for House Accounts? This lesson will teach you how to setup a cash discount on truck fleet transactions. 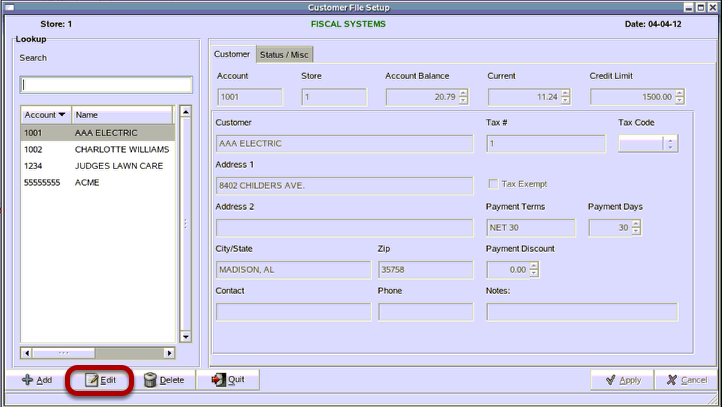 (1) From the Customer File Setup menu, click on the Status / Misc tab. (2) When setting up a fleet discount, the Discount % is taken literally. Therefore, 0.05 is equivalent to 5 cents off the price per gallon. (3) The Discount Code should be set to 7. Click on the up arrow until it reaches 7 or click inside the box and type the number 7. Click on the "Apply" button to apply the discount. Then proceed by sending the customer file down to the registers. 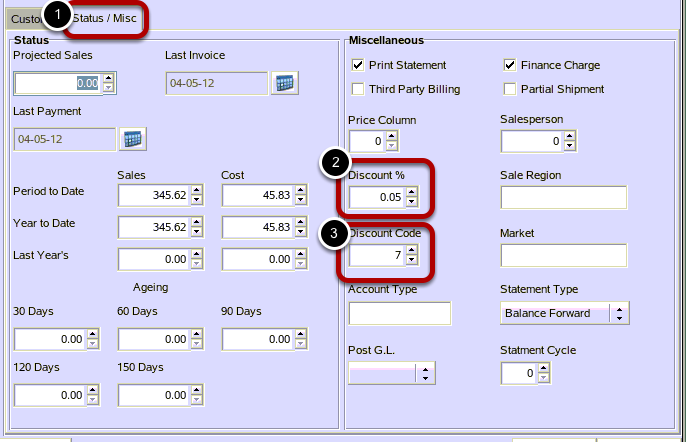 For information on sending the customer file, please see How Do I House Accounts (Customers) To The Register? 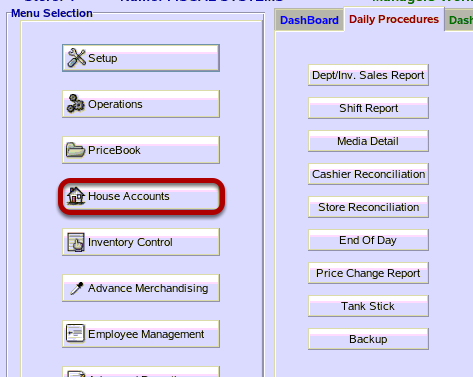 Prev: How Do I Delete a House Account? Next: How Do I Look Up House Account Transaction Details?